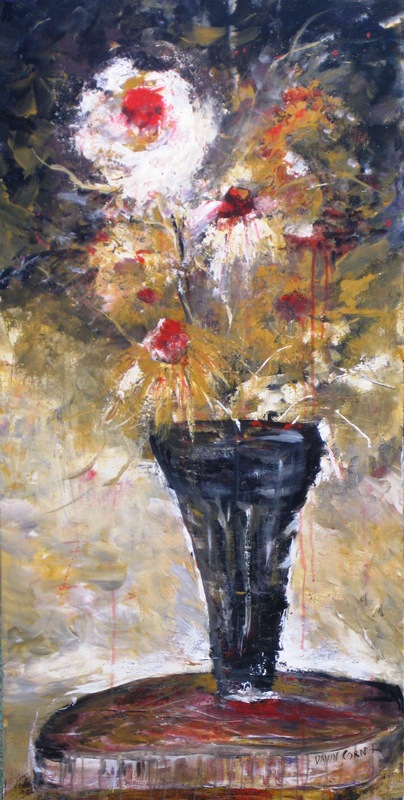 Recently completed White Flower in Vase painting. This 24″ x 48″ acrylic on canvas painting will be on sale at next week’s Crabapple Fest – Saturday, October 5th. Come visit me at booth 23-B.